Here is a nice piece from the Swindon Adver on the August 2014 Reunion of Viewpoint's original staff and current board. We'll pull our own update together on this shortly. 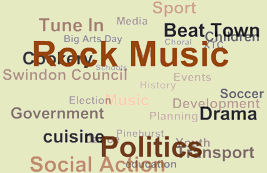 We have recently discovered over 600 hours of audio material from the first 3 years of Swindon Viewpoint’s existence. This material, recorded on audio cassettes each day, was a requirement of the Home Office license. 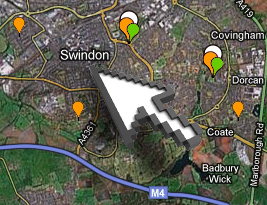 It provided an audio log of every programme leaving the Swindon Viewpoint studio. 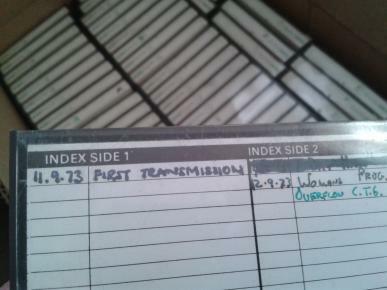 We seem to have an audio recording of every programme transmitted on Swindon Viewpoint from September 11th 1973, when the station first went live, to the 16 May 1976. In the early days, Swindon Viewpoint transmitted on four days each week. Sunday had the Flagship programme, This is Swindon, which ran about 2 hours and usually included newsy items – some filmed by the public, (increasingly as time went by) and some made as co-productions with the public, like outside broadcasts of events and sports. Tuesday’s Forum programme was the slot for community issues, discussion and programmes made by the people of Swindon on the station’s equipment. On Wednesdays, there was a one hour programme aimed at women and families. On Friday night, The 7 Day Hour provided details of events coming up in the town over the next week. This included listings for the Cinema (there were two, the Odeon and the ABC), the Wyvern Theatre (who produced their own weekly slot), school and college concerts and plays, amateur dramatic productions, evening classes, lectures and talks. The tapes will be a valuable insight into the first few years of Viewpoint’s presence in Swindon. One of the highlights discovered so far include the speeches at the opening ceremony of the station, by the then Minister for Posts and Communications, Sir John Eden and the Chairman of EMI, Sir John Reid, who outline the government’s philosophy and commercial interest in community television on cable. The tapes came to light after contact was re-established with the wife of Richard Dunn, the station’s Manager for the first 3 years, Jigga Dunn. Sadly Richard died some years ago, but he and Jigga had stored the cassettes for 36 years. We are very grateful to Jigga for her assistance. Watch this space for more details of what we discover as we digitise this priceless archive for your research and interest. 20 hours digitised so far – 580 hours to go!